(Dulles, VA 10 March 2011) - Orbital Sciences Corporation (NYSE: ORB) announced today that it has been awarded a major new contract by the U.S. Missile Defense Agency (MDA) to supply Intermediate-Range Ballistic Missile (IRBM) target vehicles for use in future tests of missile defense systems. 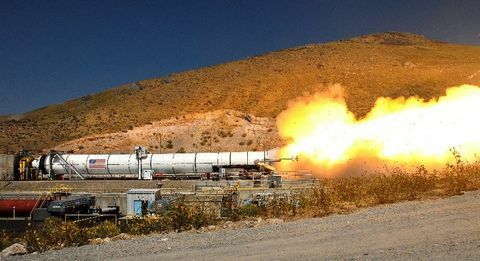 The seven-year contract, which covers development and production of up to 22 target rockets and related systems over the 2011-2018 period, has a firm value of approximately $230 million for the first eight vehicles to be delivered by 2015, with up to $870 million in contract options for 14 additional vehicles, countermeasures equipment, modeling and simulation support, logistics activities and launch services to be provided from 2012 to 2018. The company's IRBM target is a multi-stage vehicle that will be air-launched from a standard C-17 cargo aircraft via a parachute extraction system, providing MDA with increased flexibility in testing its Ballistic Missile Defense System (BMDS). Commenting on the contract award, Mr. Ron Grabe, Orbital's Executive Vice President and General Manager of its Launch Systems Group, said, "We are honored to be chosen by MDA to continue our support of missile defense testing that is critical to our national security and to the safety of our troops deployed around the world. The IRBM targets program will extend Orbital's 25-year history of providing high-fidelity targets to BMDS programs, to include MDA's Phased Adaptive Approach for missile defense systems." The rocket to be used for the IRBM target vehicle is derived from Orbital's Pegasus space launch vehicle, which was the world's first privately developed space launch vehicle when it conducted its inaugural flight in 1990. The original Pegasus technology has spawned numerous derivative launch vehicles that have supported U.S. Government and commercial satellite customers for over two decades. It was adapted to create the Taurus and Minotaur space launch vehicle programs, as well as the launch platform for NASA's Hyper-X hypersonic research missions. In addition, significant flight-proven elements of Pegasus were incorporated into the company's Orbital Boost Vehicle missile defense interceptor to reduce development timelines and assure high levels of reliability, the same attributes that will now be applied to the IRBM targets program. Including the 22 IRBM target vehicles covered in the new contract, over 150 Pegasus-derived space and suborbital launchers are expected to be produced over a 30-year period from 1988 to 2017. 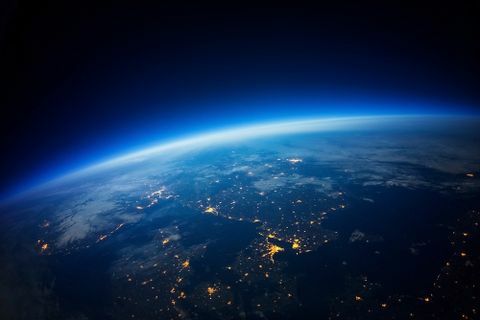 Mr. Mark J. Ogren, Orbital's Vice President of Business Development in its Launch Systems Group, said, "Orbital's IRBM target was the clear winner of this competition. 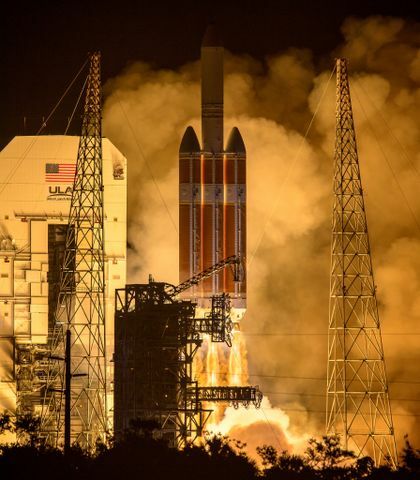 The target uses flight-proven components from the company's comprehensive family of launch vehicles to the maximum extent possible, thereby minimizing costs, shortening schedules and reducing risks." Orbital provides a complete suite of threat-representative missile targets, spanning short-, medium-, intermediate-, and long-range ballistic targets that use both new and surplus rocket motors to provide best value to MDA and other U.S. Government agencies. The company also produces short-range ramjet-propelled targets for the U.S. Navy, including sea-skimming and high-altitude variants, for ship self-defense exercises. During the last 25 years, Orbital has built and launched over 155 target vehicles from 10 launch sites around the world.